Many scenic vistas in the Southeast will be captured by some of the world’s finest ‘Plein Air’ artists this week as Europe’s largest outdoor painting festival Art in the Open opens today Monday, July 27th and runs for a full week until Monday, August 3rd. A large number of high profile international artists have descended on County Wexford coming from thirteen countries including Australia, Canada, Norway, Sweden and of course the US, UK and Ireland to compete for up to €5,000 in awards. The Art in the Open festival is based on the concept that all work is created outdoors at a daily paint-out location. 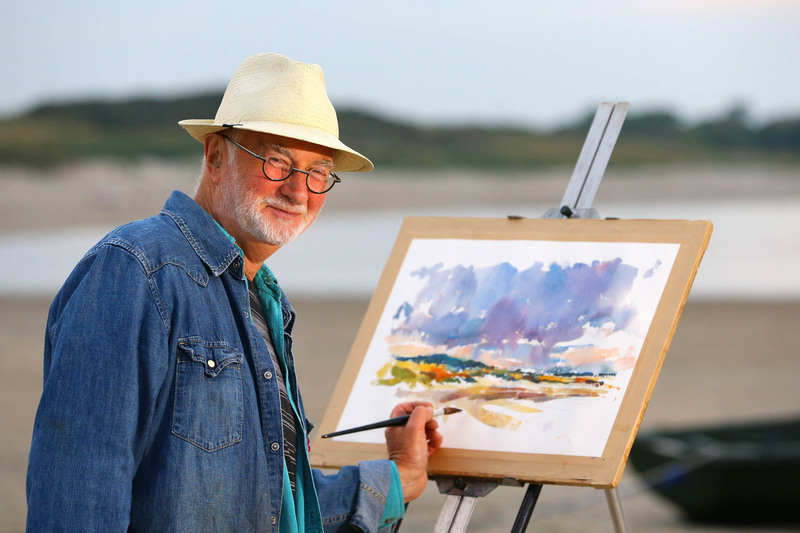 Artists must register at each paint-out with a blank canvas which is stamped daily and over the next few hours must capture their own image of the beautiful surroundings. Each artist can enter two paintings for the Gala Exhibition in the Old Library in Wellington Place, Wexford town centre on Sunday 2nd August at 3pm. The public are encouraged to watch this creative process at any of the six paint-out locations, including the infamous Hook Head, the fishing village of Kilmore Quay, the historic Wells House near Gorey and the Viking town of Wexford or enjoy the Charity Quick Draw which will take place at Wexford’s Bullring on Sunday 2nd August at 1pm. The public are welcome to join in this fun event for a €5 registration fee. Proceeds will go to the Windmill Therapeutic Centre. Other highlights of the festival includes a free lecture by Sinead Rice of the National Gallery of Ireland at the National Opera House on Bank Holiday Monday, August 3rd. Several workshops and demonstrations take place throughout the week by well-known international artists, including Leon Holmes from Australia, Vincent Crotty from the USA, Antti Rautiola from Finland and Rachel Personett from the USA.